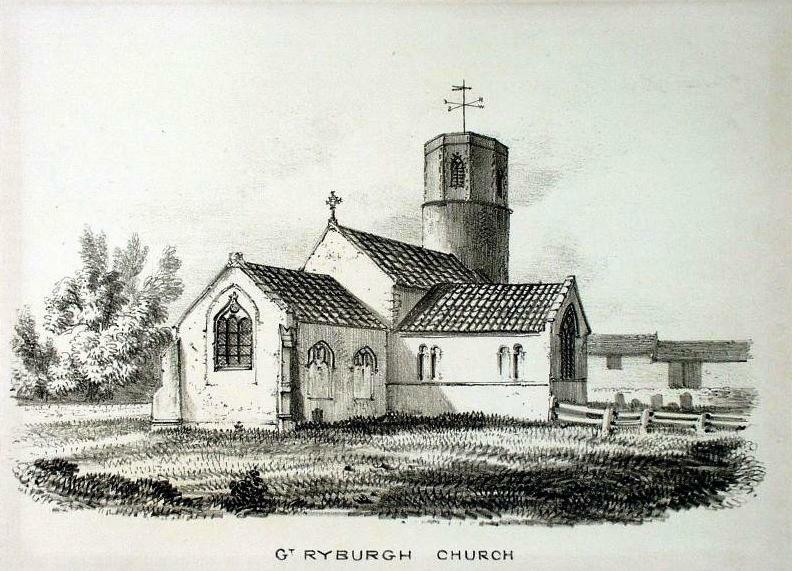 At one time St Andrew's Great Ryburgh, as a result of George Tatham's 1860's restoration, boasted 14 windows, all designed and glazed by the Newcastle born William Wailes. Today we are left with 12 complete, one lost completely and the other "restored" out of recognition in the fashion of the 1960s. 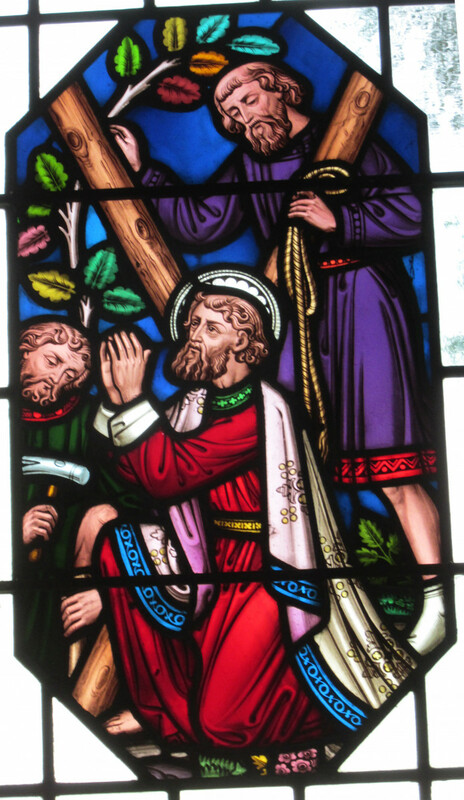 The first of the restorations, that of the South window of the South Transept dated 1870 and the image of St. Andrew himself. 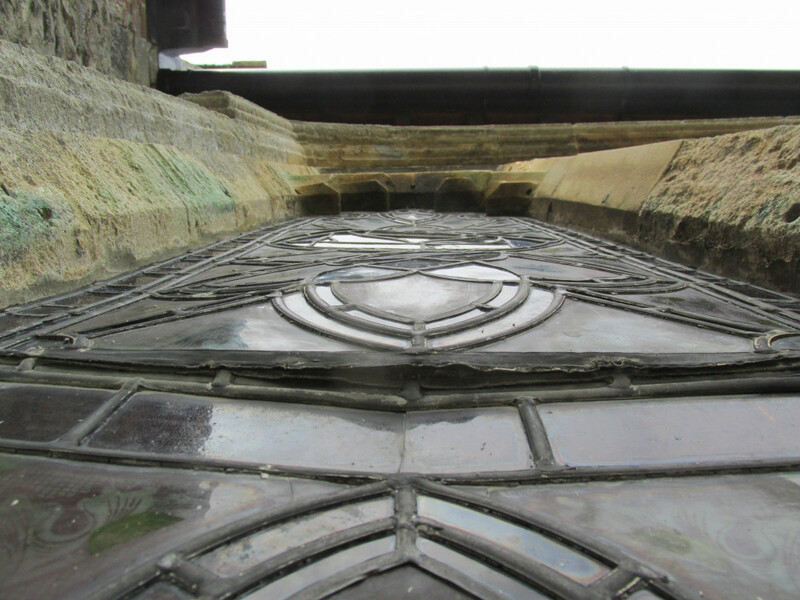 We can only debate with hindsight the merits of light over preservation of the status quo, clarity or vandalism? 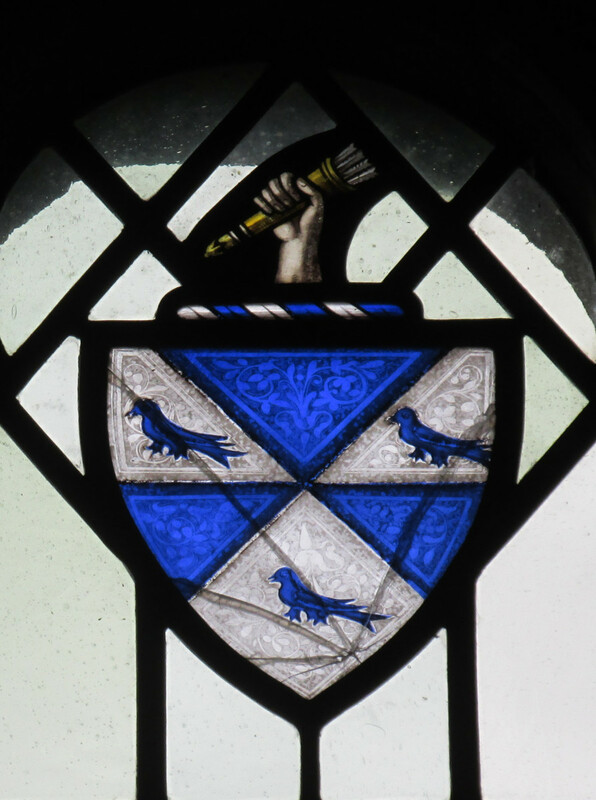 "Meaburn Tatham - Gyronny of six argent and azure, three martlets counter changed." 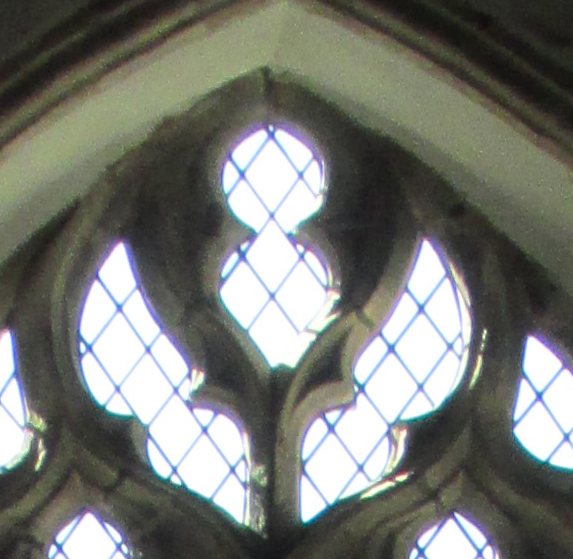 A further look at the stonework of the window shows that the only place that shape fitted naturally was at the apex, which on the photograph of the original window is too obscure to see in any detail. 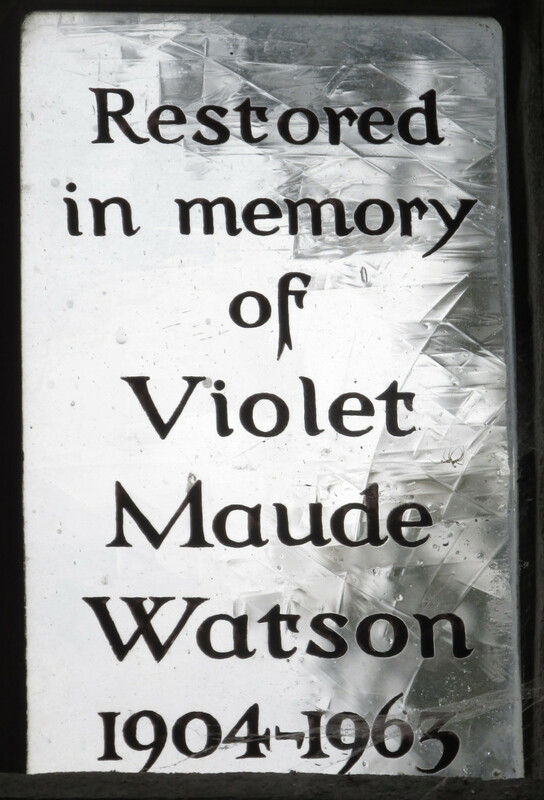 We'll never surely know, but it is at least most likely to have been from William Wailes' workshop. 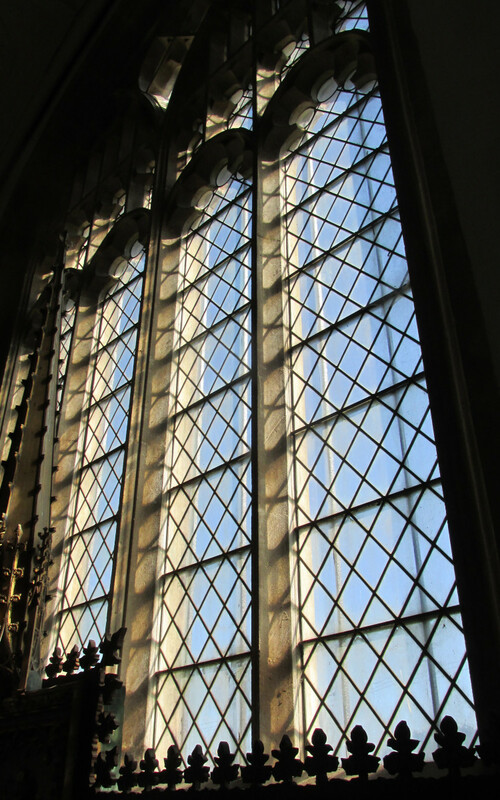 The remaining east facing windows of the South transept are plain. 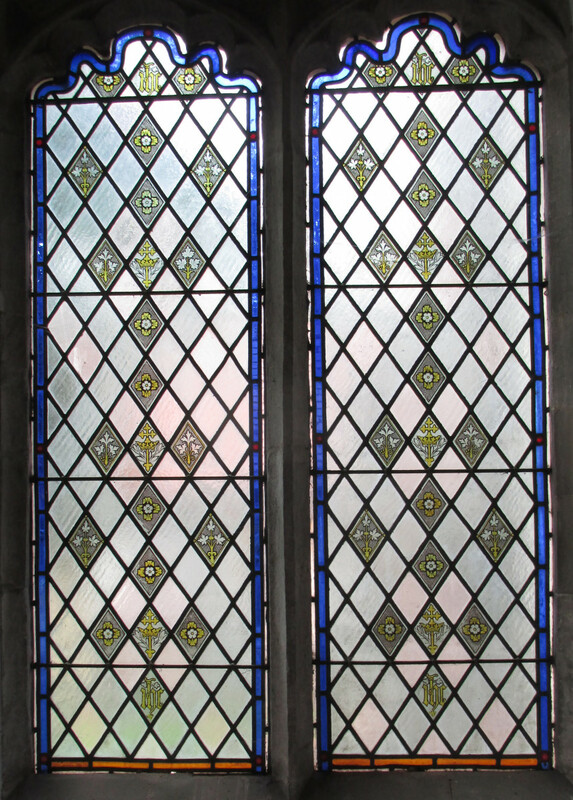 Do they represent the glazing plan to be found in all the windows prior to the installation of their decorative examples? 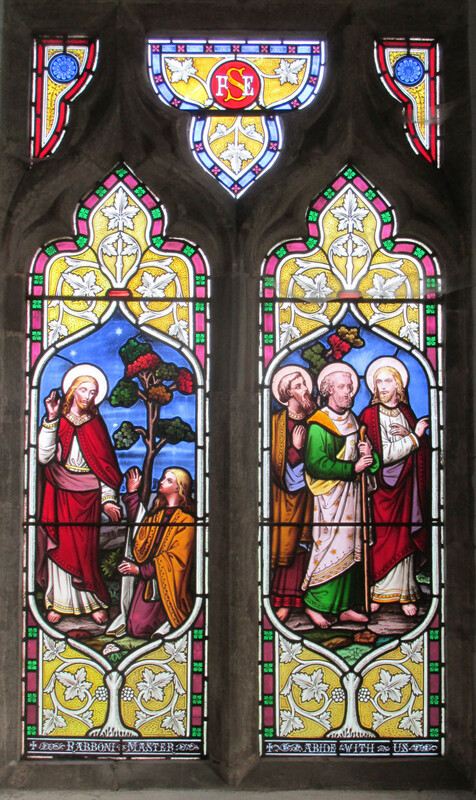 Moving into the Nave we come to the most recently restored example in the east South wall . 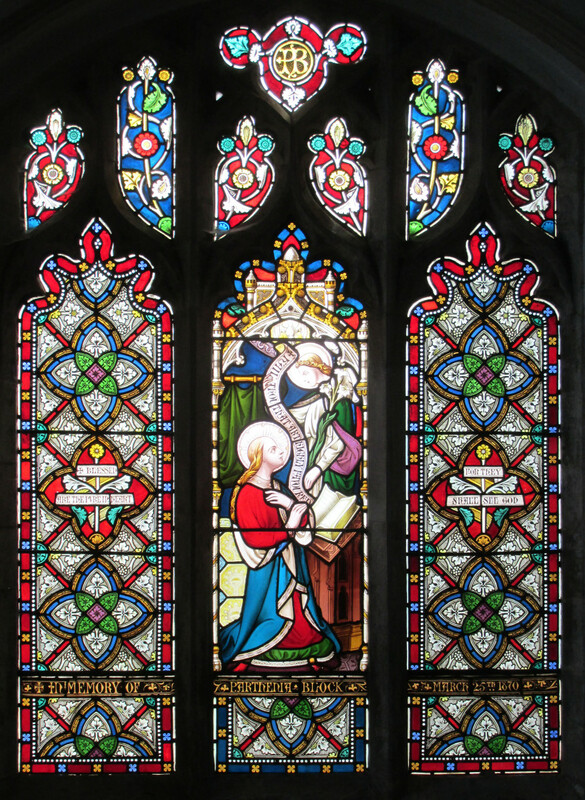 The window, depicting St. John was in memory of Edward Tolver-Gwyn of Pensthorpe and dates from 1866. 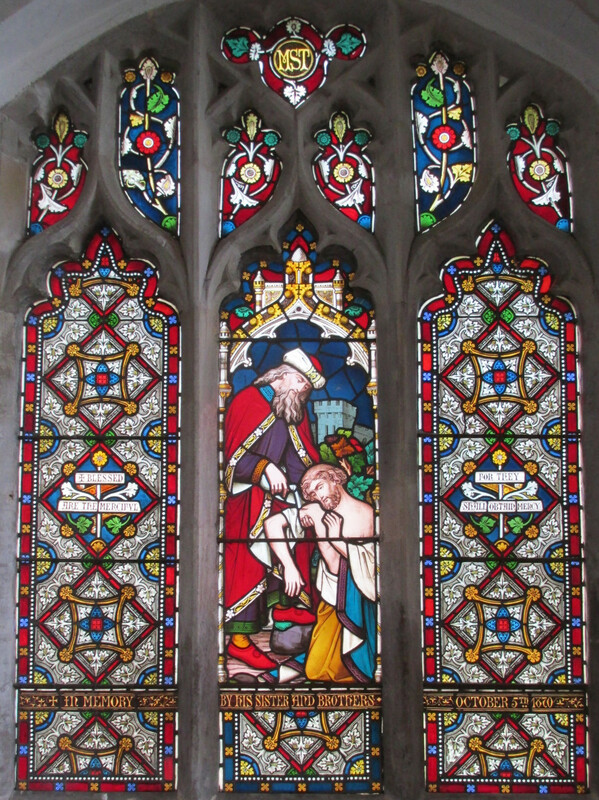 The complete cleaning and repair of the window, carried out by Neil Forkes of Griffin Glass in 2010, was in memory of the the late Michael Savory of Highfield Farm. 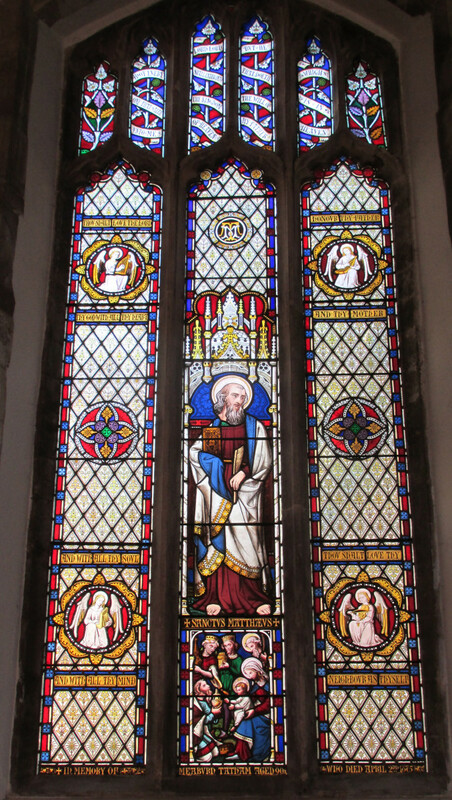 Crossing the Nave opposite the window above, we find one of two windows that are memorials to the Patron, Meaburn Tatham, who died in 1875 and depicting St Mark. 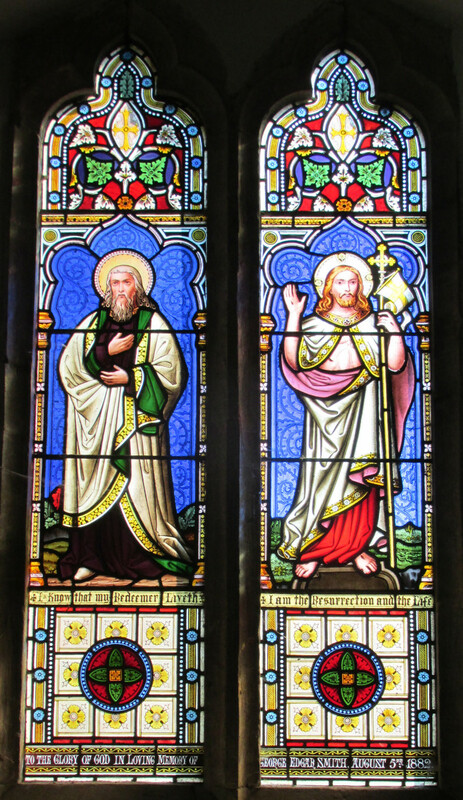 The other window to the east depicts St. Matthew. 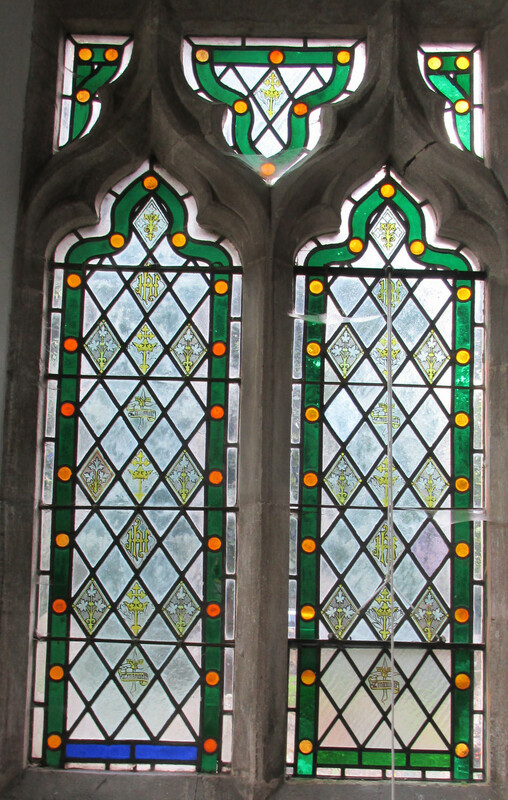 Going east into the Chancel we find two more Tatham memorials on the North wall. 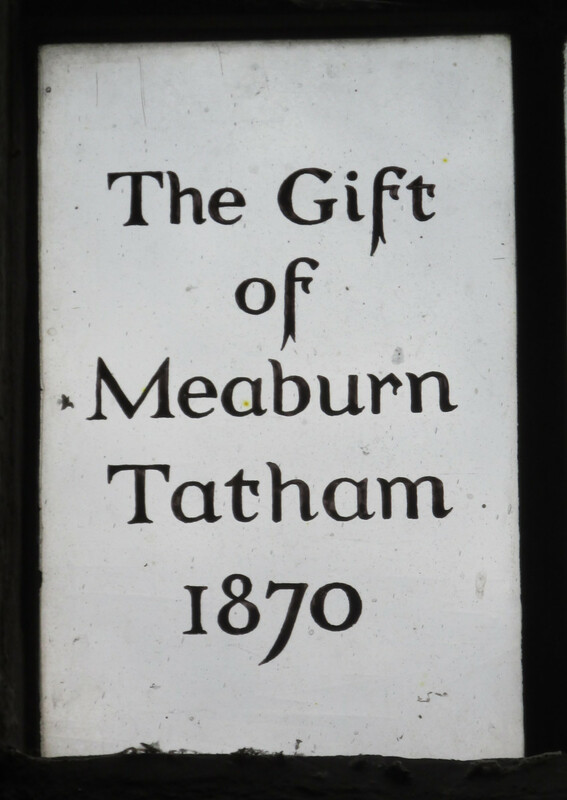 The first is in memory of Meaburn Smith Tatham, the Revd George Tatham's older brother who died in 1870. 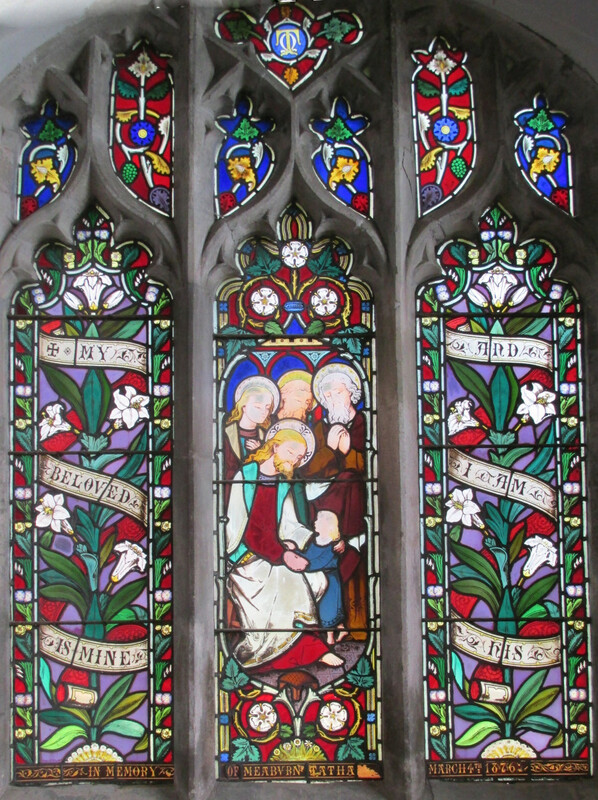 The second window commemorates the Revd.George and Betha Tatham's 2 year old son Meaburn who died on March 4th 1876. 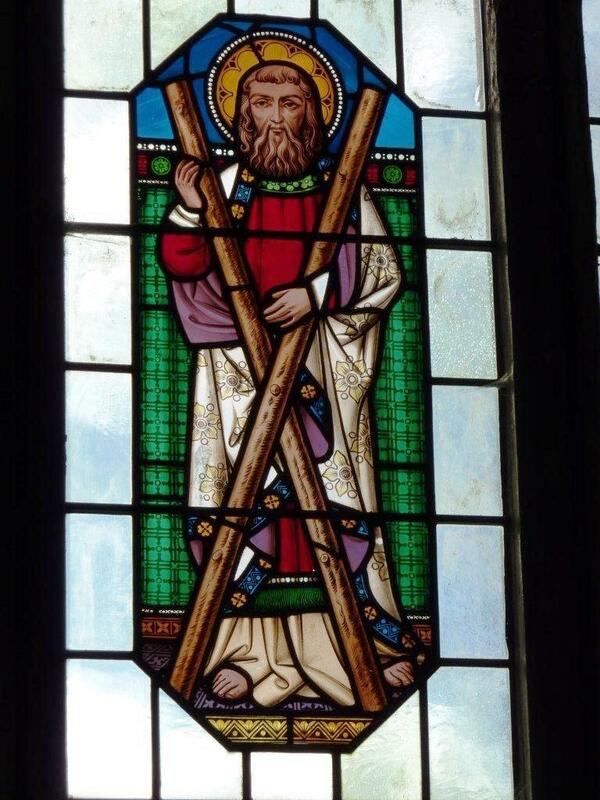 He is buried outside the south door of the Chancel. 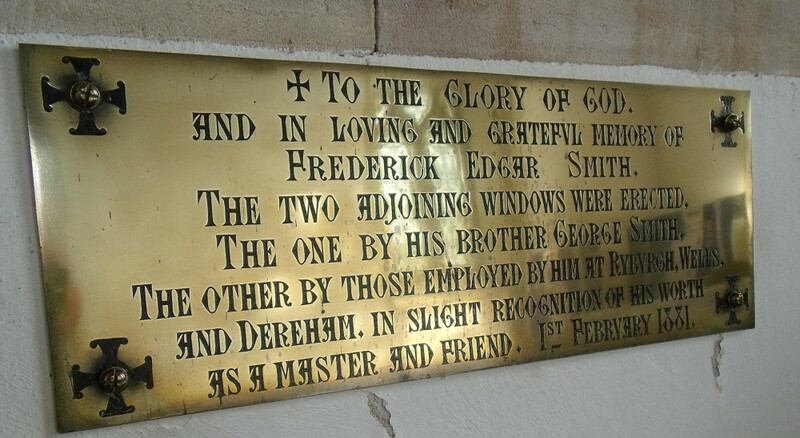 His younger brother Frederick Hugh was buried close by a lifetime later in 1947. 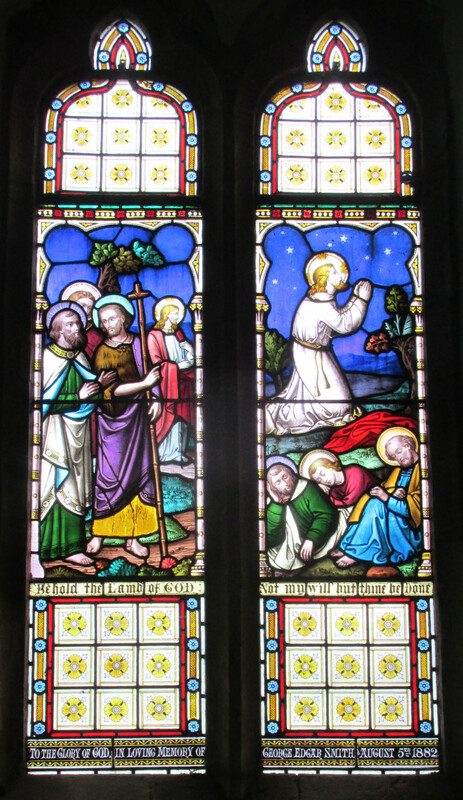 Crossing to the South wall of the Chancel is the 3rd of our restored windows and a restoration in 1970 that caused much upset in the Tatham family at the time. 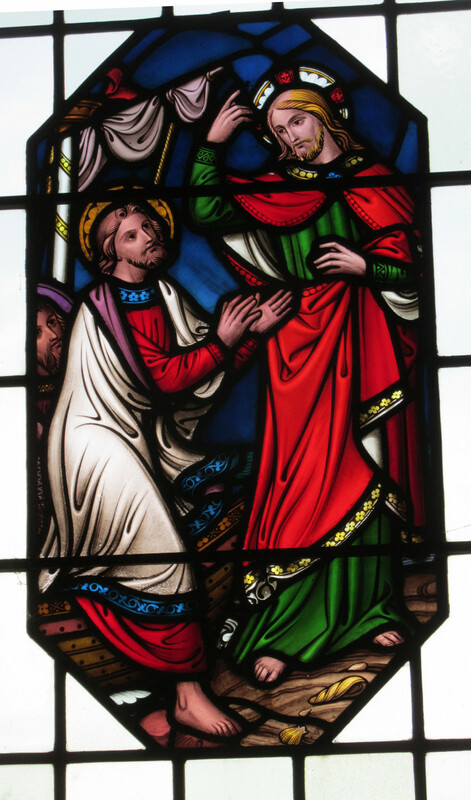 It had been their hope to have more light enter by means of a similar treatment to that carried out in the South transept. 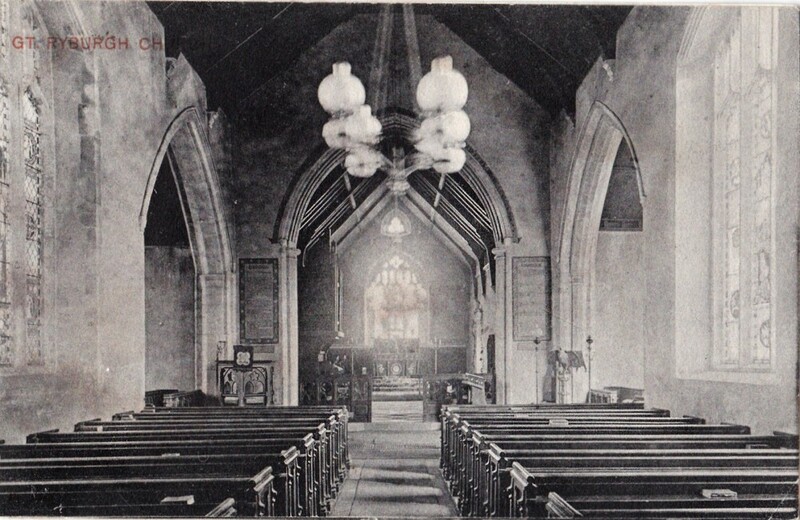 Attitudes however had changed in the intervening 7 years and preservation was the order of the day, much to the disappointment of F.H.Tatham's widow, Helen. 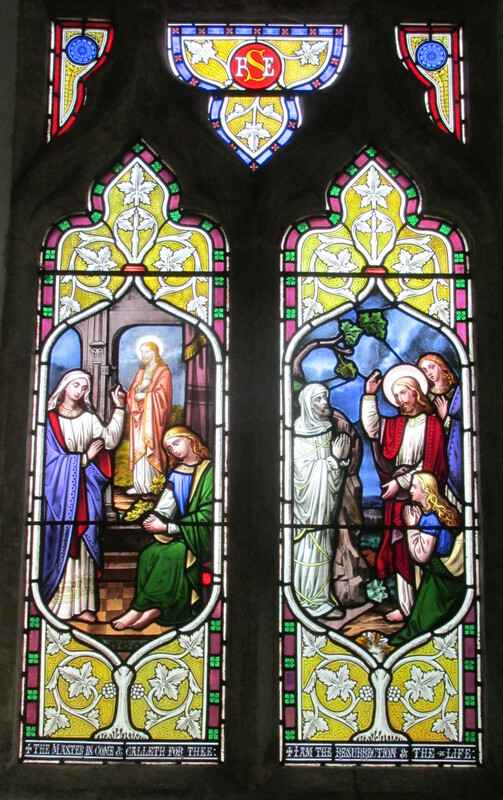 The window was in memory of Marian Elizabeth Tatham, George and Betha's eldest daughter who died on Easter Day 1870 whilst visiting her grandparents. 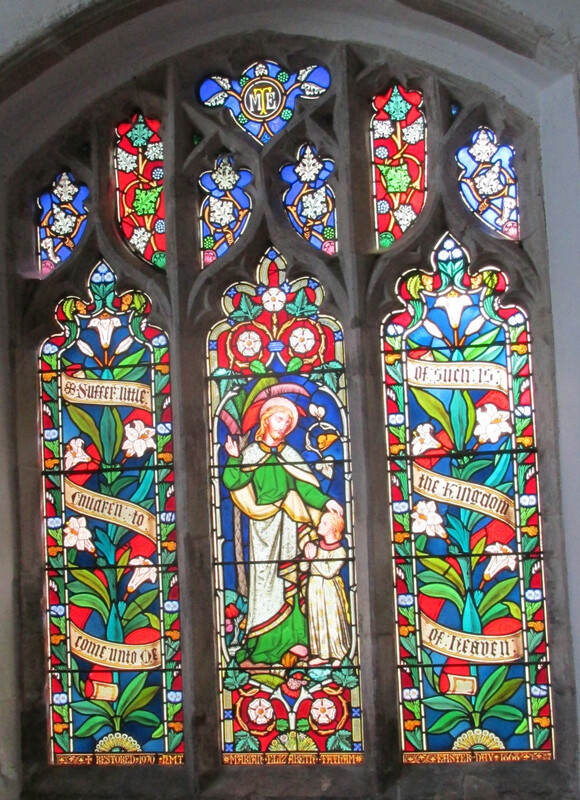 To complete the set is the memorial to Parthenia Block who died in 1870 She was Marian Elizabeth's Grandmother, i.e. 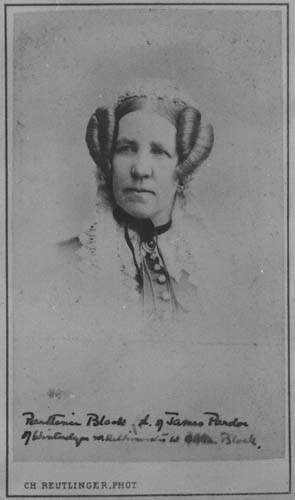 Betha Tatham' s mother. 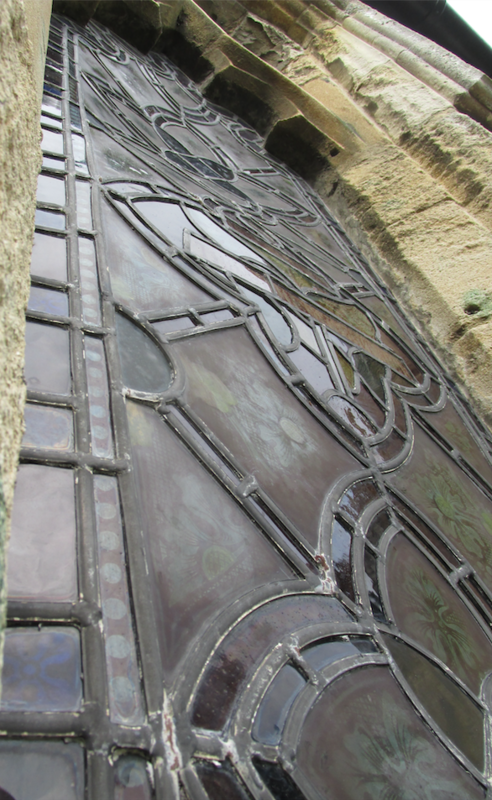 This window is in most urgent need of restoration so a fund has been started for the restoration of the window as a memorial to all the WW1 families of Ryburgh brought to light by the ongoing Think and Thank/Ryburgh Remembers project. 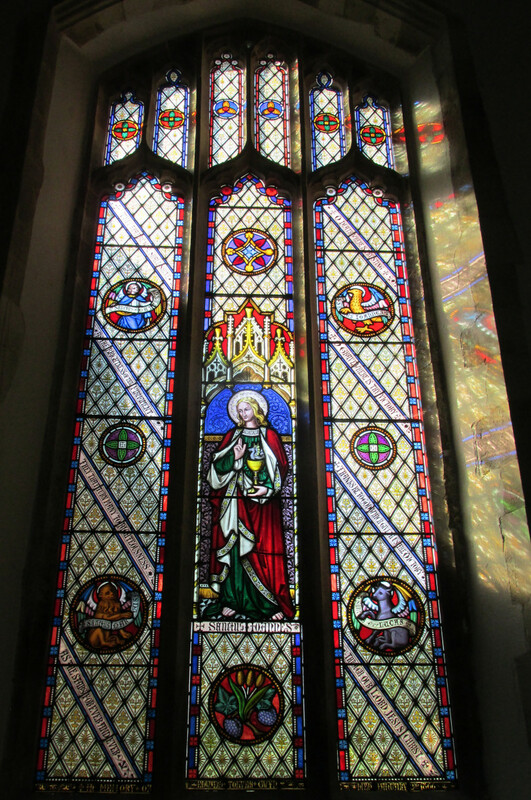 If you would like to contribute to the restoration of this window for any reason at all or simply as a tangible way to remember the impact of World War 1 that still resonates today, please visit our Make a Gift page . In donating please be sure to reference it as Parthenia Block Window.